Fresh off from this year’s Tony Awards, we’re holding a special auction for some of the hottest shows running on Broadway today! This month, we will be holding the auctions over our Instagram (@theaterfansmnl) account. The playbills will begin with an initial bid of P500 (except Harry Potter Parts One and Two which begins at P1000). 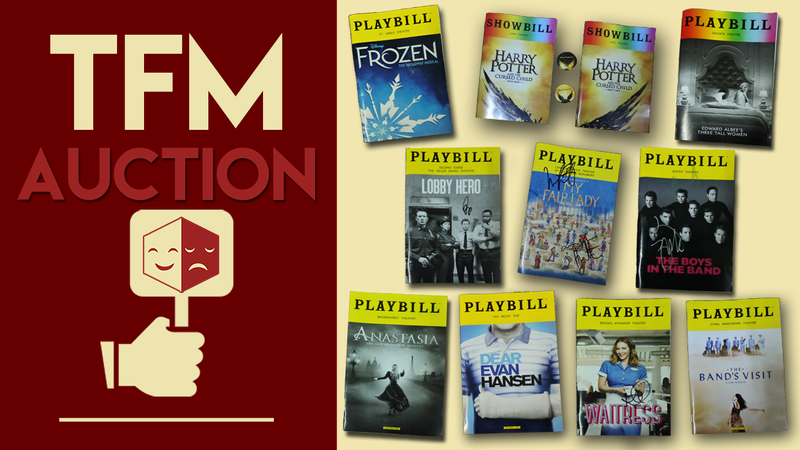 We will be auctioning off 10 playbills in total from June 15-17. Each day will feature a set of 3-4 different playbills. The auction will run for 12 hours, launched at 12 noon and will end at 12 midnight of the same day. a. Bid by stating the price you are willing to pay in the comments. Initial bid will begin at P500 (except Harry Potter Parts One and Two which begins at P1000). b. Bids should be in increments of 50 pesos. c. We will notify the highest bidder through a comment under their winning bid. Payment and other logistical concerns will be discussed with the winner through private messaging. d. The highest bidder must make the donation within three (3) business days. If we do not receive the confirmation over the stated time, we will be contacting the next highest bidder.